Official reissue of this classic debut album. 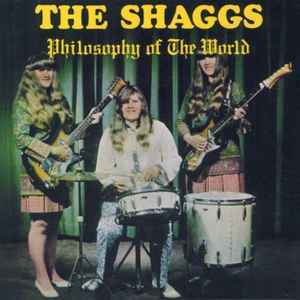 Philosophy of The World is the first album by The Shaggs, released in 1969 by Third Word Records. Recording of the album was financed by Austin Wiggin, father of the band members. Blender Magazine placed it 100th on the list of the "100 Greatest Indie-Rock Albums Ever" in 2007. Nirvana front man Kurt Cobain listed Philosophy of the World as his #5 favorite album of all time. The record has also been cited as highly influential by Frank Zappa, Kimya Dawson of The Moldy Peaches, and Deerhoof.